Successfully Added HK Warehouse Preorder Elephone U Pro Android Phone - Snapdragon 660 CPU, 4GB RAM, Android 8.0, Dual rear cameras (Blue) to your Shopping Cart. This Product is a Pre-Order Product that is expected to be shipped on the 30th of Mar. Do not order with other products. This is a Pre-Order product and as such the weight, dimensions and specifications of this product could be subject to change. We will update the listing when the product is received in stock. Elephone U Pro as a phablet features 5.99 inch 10 points AMOLED display afford you a vivid and different visual experience. Triple cameras, 13.0MP +13.0MP dual back cameras and 8.0MP front camera, you can enjoy images with high resolution. It comes with most of the features we've come to expect from a phablet, including 4GB RAM and 64GB ROM storage equipped with Android 8.0 OS that you can play games faster,3550mAh battery can keep working long time. 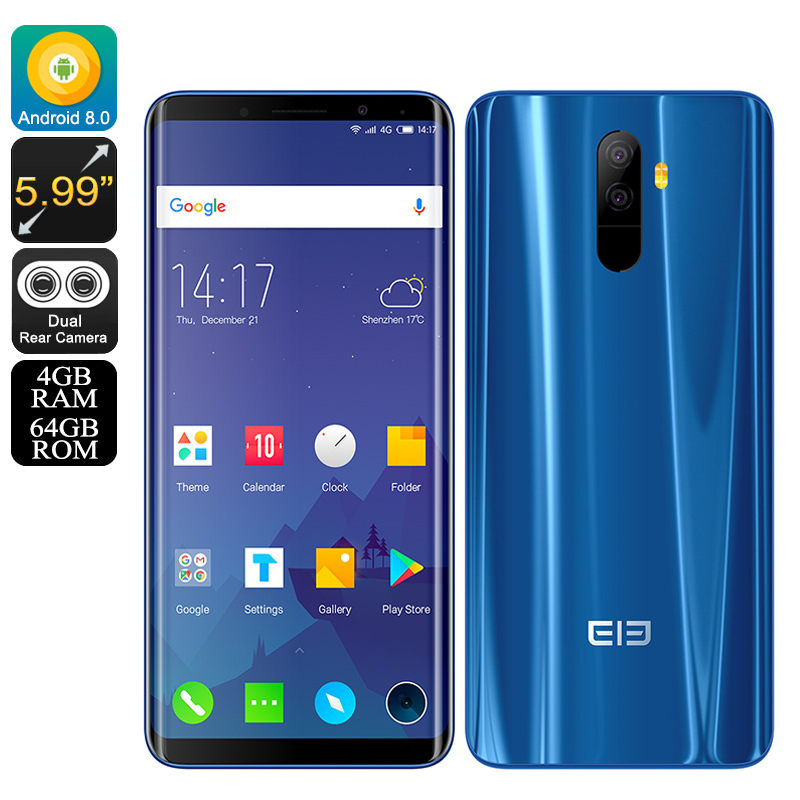 This Elephone U Pro smartphone comes with 12 months warranty, brought to you by the leader in electronic devices as well as wholesale Android phones from China..